My discovery of Empire Day was fortuitous. I came across it as a daily e-book special on sale for $1.99. While I rarely find a book I want to read in such offerings, this one caught my eye because of its setting: Sydney, Australia in 1948. My Twitter handle of @Austraphile tells you all you need to know; I snapped it up. Empire Day takes place over the course of a year, from Empire Day in 1948 (observed on January 26, and now called Australia Day) to the following January. It depicts a year in the lives of several residents of Wattle Street in the working class Bondi Junction neighborhood of Sydney. Wattle Street serves as a microcosm for a rapidly changing Sydney (and Australia generally) as Australia welcomed waves of immigrants, many of them refugees, following World War II. Seemingly overnight, Australia began a transformation from a white, Christian outpost of the British Empire in the South Pacific to the ethnically, religiously, and culturally diverse nation we know today. Armstrong orchestrates the interactions of the locals and the “New Australians” with sensitivity and historical accuracy. We meet Verna Browning, the retired, white-haired friend to all, and her son, Ted, a young and idealistic journalist working for the local scandal sheet; Kath, a single mother abandoned by her husband to raise their four boys, including Meggsie, who faces a dread disease of the time; and Maude McNulty, the 90-something sharp-tongued gossip of the street. Into their block-long part of the world come Eda, a Polish Jew, and her teenage daughter, Hania, who had been adopted and raised by a Catholic family but then reclaimed by her birth mother and brought to Australia; Sala and Szymon, a newly married couple, also Polish Jews, struggling to adjust to each other and to Australia and pulled in different directions; Mr. Emil, a shy and secretive gentleman with seemingly odd habits, whose wife and two children had died in the Holocaust; and Lilija, a beautiful young Latvian woman whose overprotective parents refuse to let her date the smitten Ted Browning. All of the immigrants carry the burden of secrets from the Holocaust, one type of “Sophie’s choice” or another, guilt, heartbreak, or desolation, along with the hope that Australia — so different from their European world that it may as well be another planet — will offer them a chance at a new and safe life. In addition to this compelling mix of cultural conflicts, Armstrong has crafted a suspenseful mystery: How have Nazis and Fascists made their way to Australia despite a screening process intended to keep them out? Ted stumbles onto this story when interviewing newly arrived immigrants and pursues it into a refugee camp near Albury, in the countryside between Sydney and Melbourne, and, through a clever twist, right into Wattle Street, where one such person has settled right under his nose. 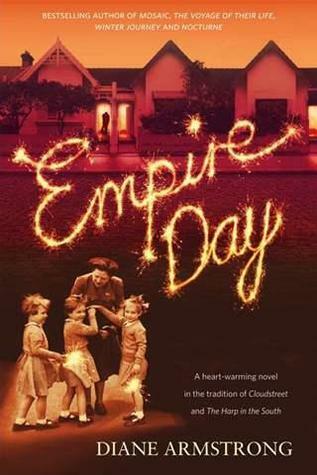 Empire Day is a well-written, fast-paced novel with a large cast of complex characters, all of whom have a story to tell (or to keep secret). Armstrong has done an especially admirable job of depicting the lives and mindsets of the Jewish immigrants; as it turns out, Armstrong emigrated to Australia from Poland as a nine-year-old in 1948. 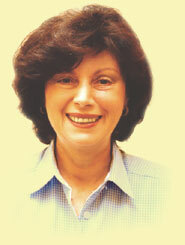 Armstrong’s three novels (Winter Journey and Nocturne, as well as Empire Day) have been compared to those of Maeve Binchy and fellow Australian Geraldine Brooks; I would place Empire Day halfway between those authors’ approaches. At $1.99, this was one of the best book bargains I’ve ever encountered. You should not hesitate to pay more for this moving and memorable novel that captures a time, place, and people so well.